The public realm development of NOMA is Manchester’s new mixed use regeneration project led by The Co-operative Group and Manchester City Council. The public realm development of NOMA is Manchester’s new mixed use regeneration project led by The Co-operative Group and Manchester City Council. The £800 million project which began in 2011, focuses on revitalising and opening up the northern half of the city, providing a world-class public space and commercial district. NOMA public realm includes 4.5 acres of land which was designed to complement the new district and create a diverse and vibrant environment for the city. Dutch architects Mecanoo along with Royal Haskoning created a shared vision for the public realm which enhances the inner city of Manchester. The landscaped square acts as a transition from the outskirts of the district to the centre and ensures a green cityscape all year round. 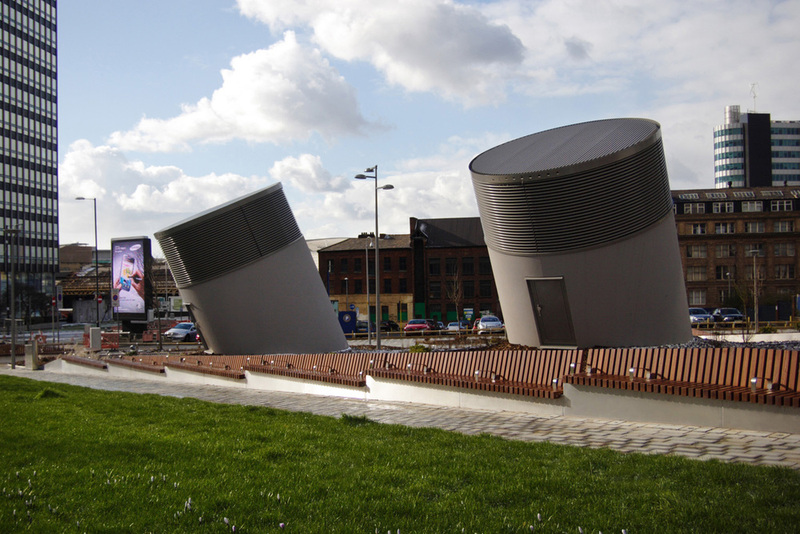 Omos worked closely with the architects, consulting engineers and BAM Contractors from the early concept stages right through to completion.The topography of the site was quite challenging as well as the integration of underground services such as the three ventilation shafts which extend several metres above the finished ground level. 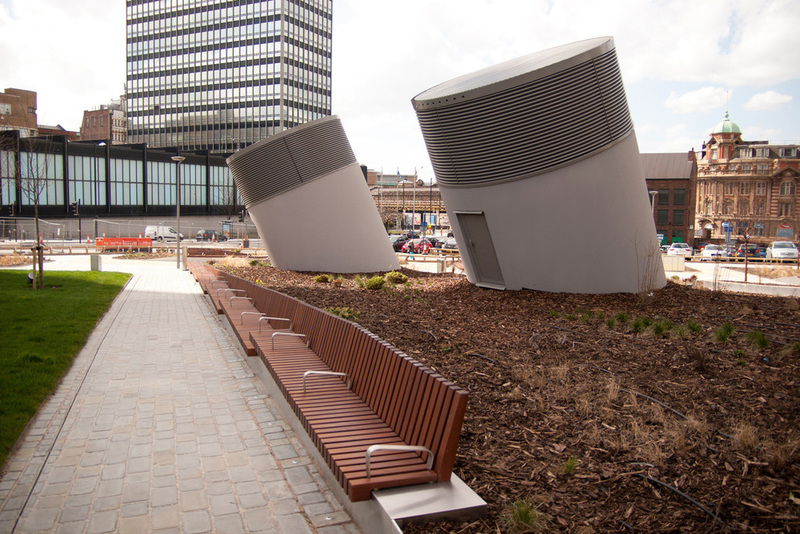 These shafts were transformed into an attractive focal point while stepped planters and sloping walkways bridge height differences throughout the site. 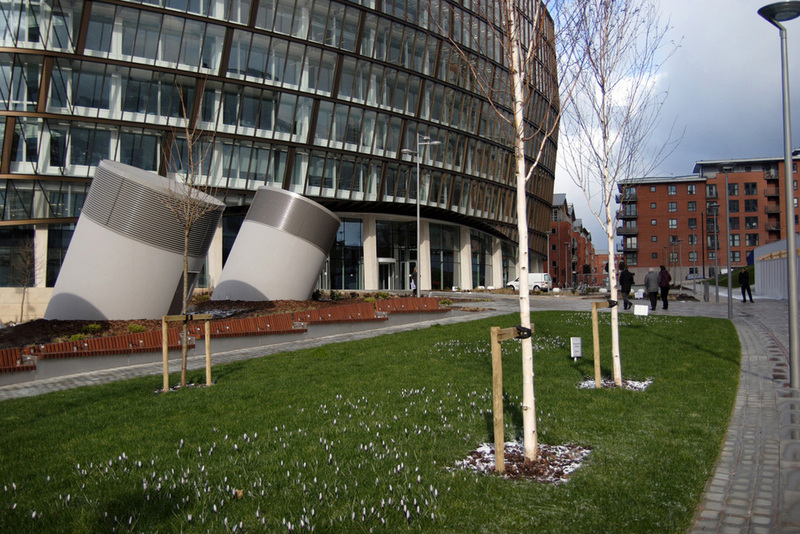 Omos produced the bespoke stainless steel planter edging as well as the integrated seating which define the various planting zones and levels leading up to the Co-operative head offices. 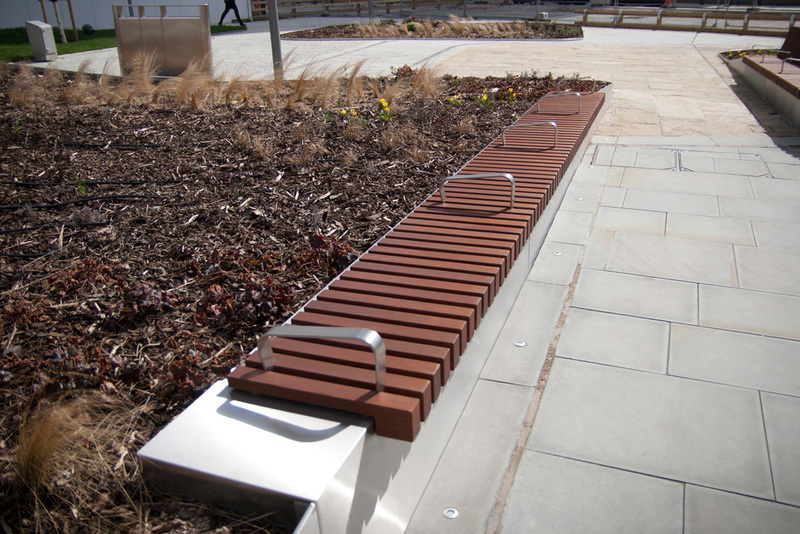 The bespoke benches and seats in stainless steel and iroko wood which line the pedestrian walkways were tailored to suit each planted area and create an attractive and diverse sense of space. Omos also provided some ‘catalogue products’ as well as the bespoke purpose made furniture.